Tommy Baldwin Racing announced Wednesday that Ryan Truex would drive the team’s No. 71 Chevrolet in the 2019 Monster Energy NASCAR Cup Series season-opening Daytona 500 on Feb. 17. Truex drove for TBR in a NASCAR Xfinity Series race at Daytona (Fla.) International Speedway in 2012, finishing 31st. After taking the 2018 Cup Series season off, Tommy Baldwin Racing plans to run a partial 2019 schedule. Truex last competed in the Cup Series in 2014, making 23 starts for the now-defunct BK Racing. In all, he has 26-career Cup Series races to his credit, the other three coming in 2013. His best finishes were three 31st-place showings at Auto Club Speedway in Fontana, Calif.; Richmond (Va.) Raceway; and Talladega (Ala.) Superspeedway, all in 2014. Truex competed full-time in the Xfinity Series last season as driver of the No. 11 for Kaulig Racing but lost that ride to Justin Haley. 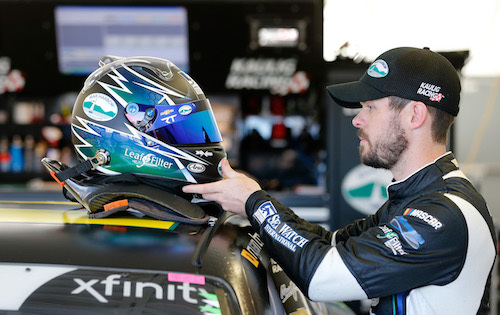 Truex finished 12th in the 2018 Xfinity Series standings, making the playoffs but being eliminated in the opening round.